"Tough on crime" and the crisis of mass incarceration. Why discovery reform is important for defendants in criminal cases. William Barr's confirmation hearing for United States attorney general has been happening all morning. Emily Bazelon recaps what has happened so far. WaPo's Aaron Blake and NYT Magazine's Emily Bazelon discuss issues surrounding the voting on Brett Kavanaugh’s Supreme Court nomination. 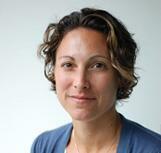 Emily Bazelon discusses the Supreme Court's swing towards conservatism. Emily Bazelon talks about the confirmation hearings for SCOTUS nominee Brett Kavanaugh as they get underway with the Senate Judiciary Committee. Emily Bazelon follows up on about President Trump's Supreme Court nomination, plus other legal and national news. WNYC's Jami Floyd hosts a live call-in special about the retirement of Supreme Court Justice Anthony Kennedy, and what to expect from his replacement. Emily Bazelon, staff writer for The New York Times Magazine, co-host of Slate's "Political Gabfest" podcast, breaks down the latest legal news. After a Supreme Court decision, Pennsylvania lawmakers have just days to agree to a new map of congressional districts. From our workplaces to the White House, bullies seem to be everywhere. What we need to understand to deal with them properly. Emily Bazelon on the Supreme Court's travel ban ruling and the wedding cake case that is about to go before the Court. Emily Bazelon catches up on the latest news and discusses President Trump's impact on federal court through his appointments. The outcome of this Supreme Court case could alter the political map in every state ahead of the 2018 midterm elections and beyond. An 18 year old was convicted for killing her mother. But if prosecutors had shared evidence, she might not have been. A look into prosecutorial misconduct and their wider implications. New York Times Magazine and Yale Law School fellow Emily Bazelon and The New York Times -- The Upshot editor David Leonhardt go over highlights from the Senate hearing. Emily Bazelon joins The Brian Lehrer Show for the 72nd time to break down day one in the Gorsuch hearing for Supreme Court Justice vacancy and what's ahead for day two. Emily Bazelon on the shared vision that White House Chief Strategist Steve Bannon & attorney general Jeff Sessions have for America. Were Attorney General Jeff Sessions' two meetings with a Russian ambassador just harmless, trivial chats? The New York Times Magazine's Emily Bazelon puts this in context.